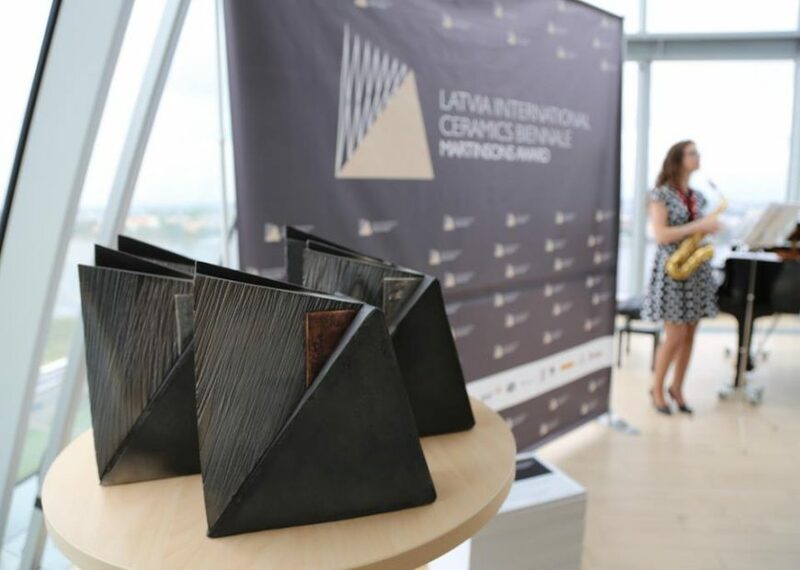 21 of July became known Latvian international ceramic biennale “Martinsons Award” prize winners at Latvia National library, Riga. 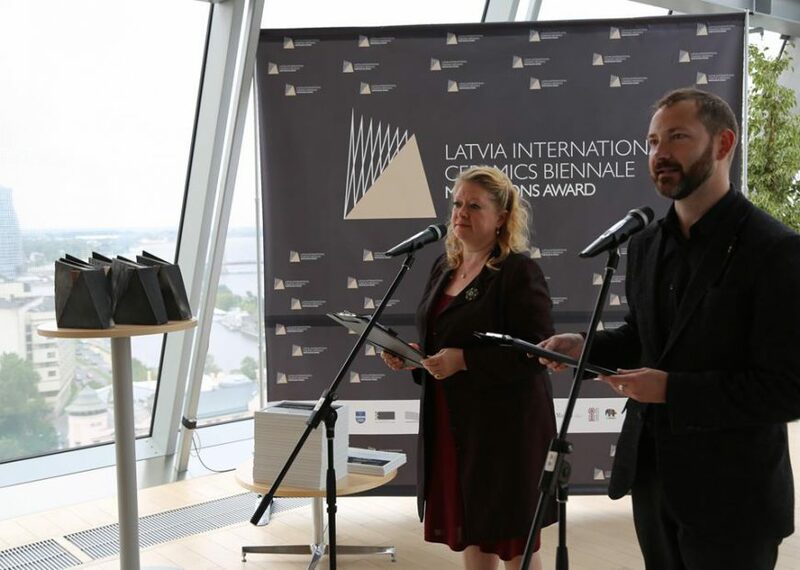 At prize-giving ceremony, which in tandem led by the charming actress Leonarda Ķestere and one of the event organizers, Daugavpils Mark Rothko Art Centre deputy head Māris Čačka, was announced Martinsons nominees who received Martinsons Award. 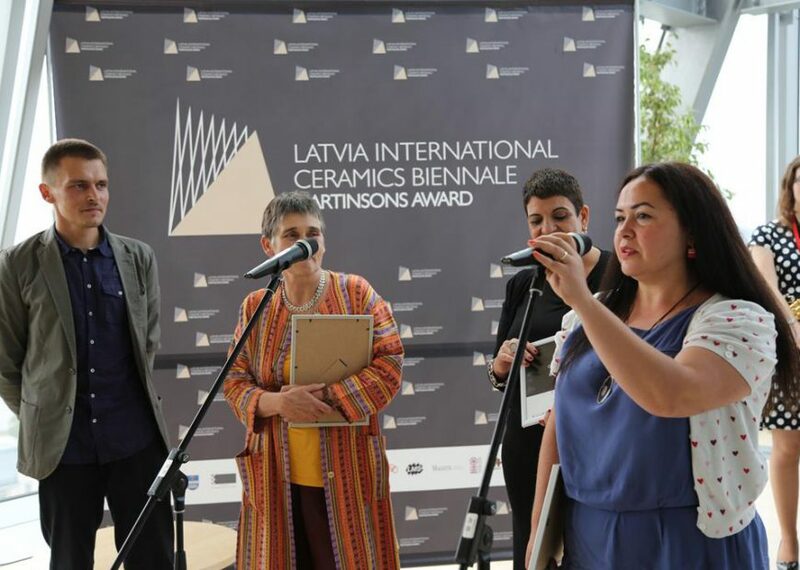 Martinsons award were divided between six Latvian and six international artists whose applications and presentations appreciate by an international jury of seven industry professionals. For a moment before appreciate the award winners, one of the main organizers Valentins Petjko thanked and congratulated all those artists who took part in the biennale exhibition-contest Martinsons award, despite they were not nominated. 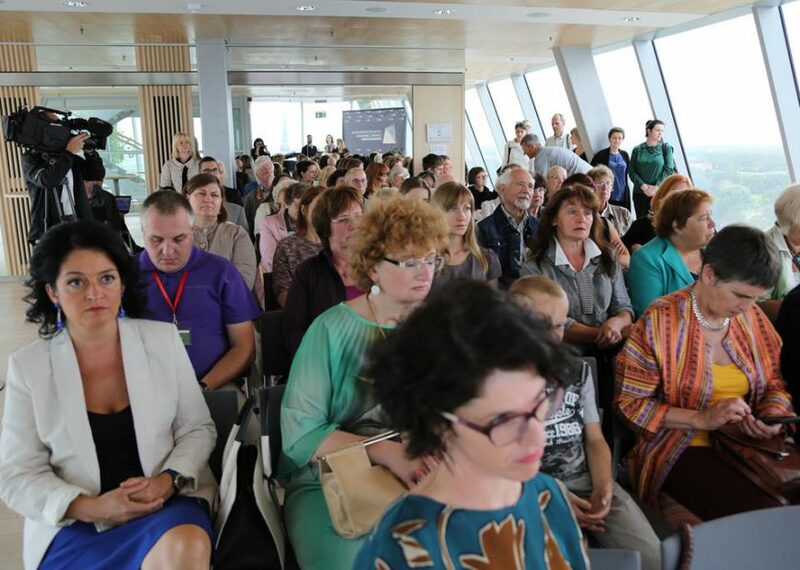 When participants were congratulated, to welcome gests of event came the Latvia National Library head of Exhibition Centre Brigita Zelča-Aispure, emphasizing the importance of cooperation in the development of institutions. 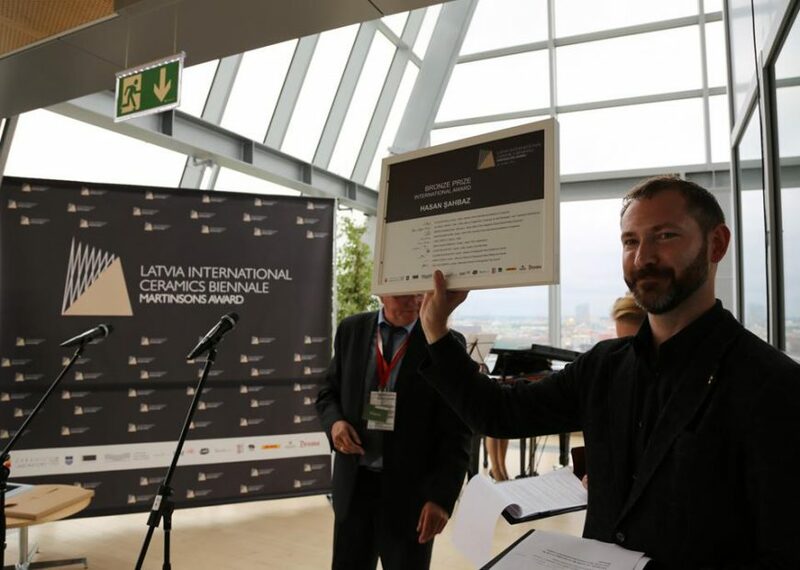 After Daugavpils Mark Rothko Art Centre partners, Latvian National Library, greetings, finally came director of Daugavpils Mark Rothko Art Center Aleksei Burunov to dispel the veil of intrigue and initiate the prize distribution among the nominees, starting with the award – bronze winners. 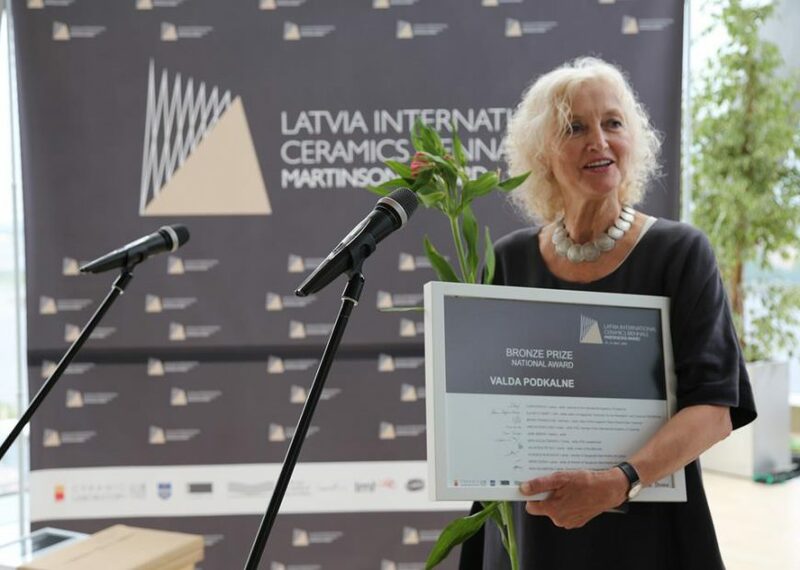 From the international nominees the winner was one of Turkey’s artists Hasan Şahbaz, while from the national nominees prize go to the ceramist Valda Podkalne. 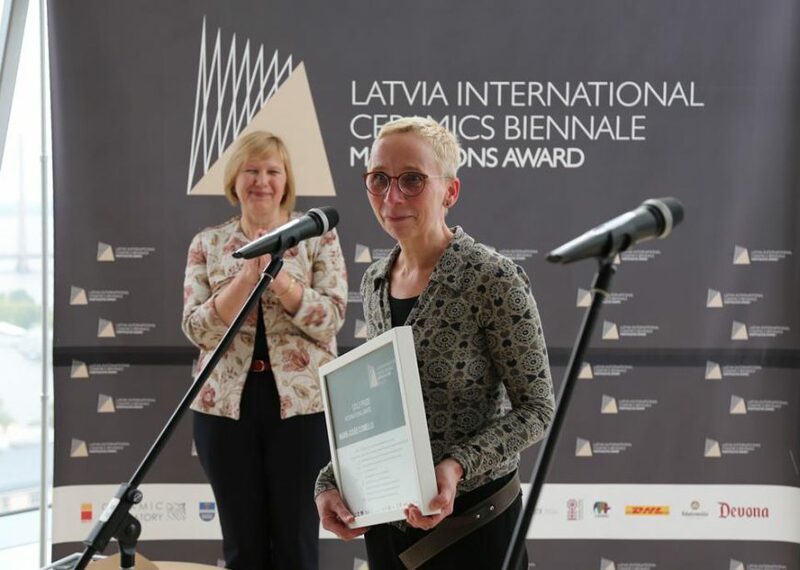 Among the congratulators of event there was the Latvian Ministry of Culture the head of Cultural Policy Department of Creative Industries Karine Kalniņa, who gave the silver prizes. Silver Award from the international nominees traveled to the India to artist Vineet Kacker and between national nominees was given to artists in tandem with the pseudonym Skuja Braden. From Daugavpils City Council arrived Executive director Inga Goldberga to give most valuable prize and announce the Martinsons award gold prize winners. Gold Award winner of the international nominees was announced Marie-Josee Comello from Geramny, while from the local artists triumphed – Dainis Pundurs. 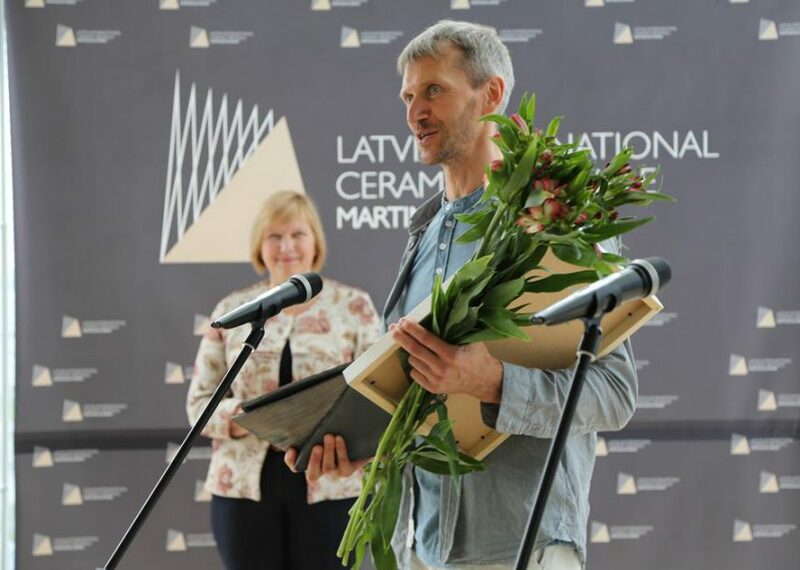 Artists, without hiding tears of joy, thanked the organizers and the people whose contribution for the event has been remarkable, and they are the Daugavpils Rothko Art Center representatives Valentins Petjko and Maris Čačka, as well as gratitude repeatedly was expressed to all members of the jury, who appreciated artists work and among all the outstanding works have been able to choose those who will receive awards. 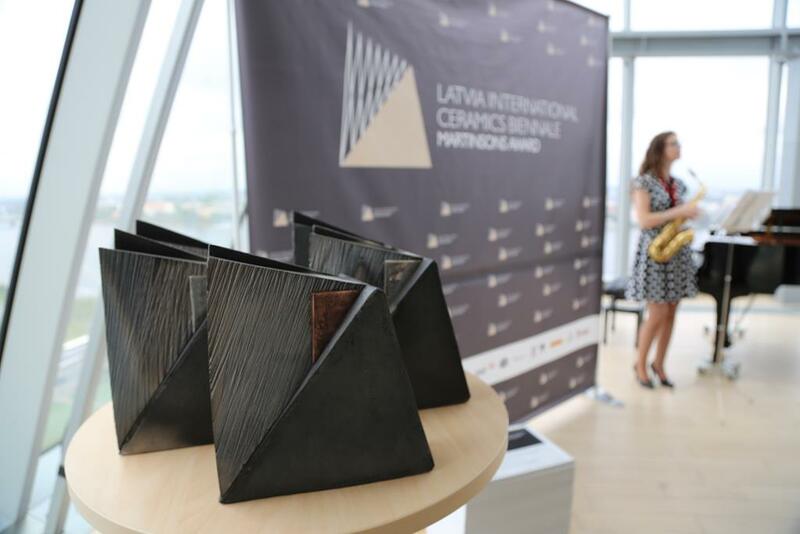 Six of the remaining nominees who did not obtain the award, from Valentins Petjko received consolation prizes, gratitude for participation and noteworthy results. When the prizes were distributed and gratitude words were expressed, welcoming the participants and organizers came the international jury members. 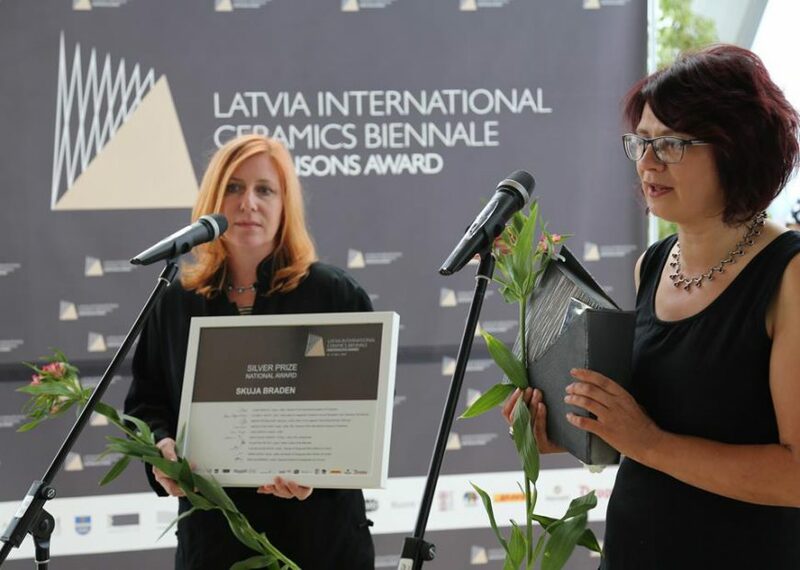 The event was concluded with a formal II Latvian international ceramic biennale proclamation in 2018. 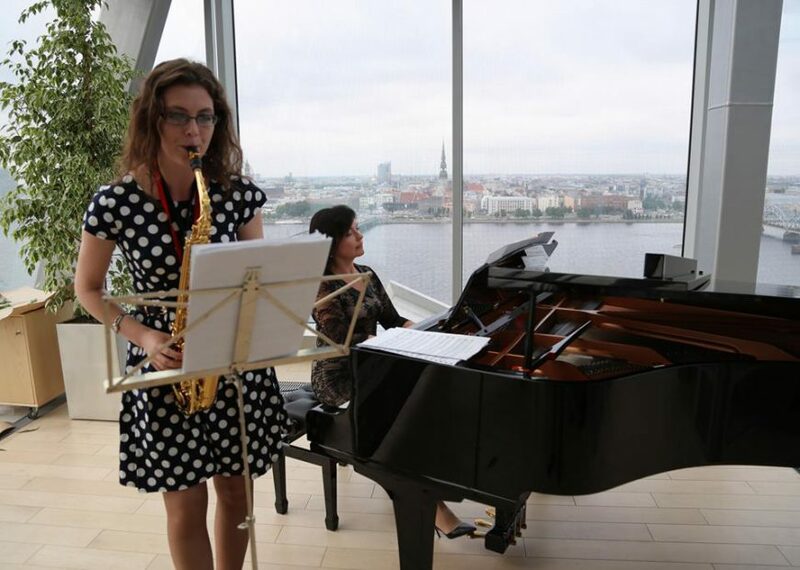 We already wrote, that individual artists as well as groups of artists regardless of their ages and nationalities were invited to participate in the art competition-exhibition The Martinons Award within the Biennale. 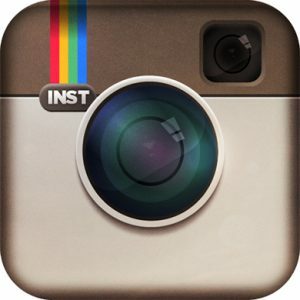 Each participant could submit only one piece of art for the competition. Creation of artworks was burdened by no limitations in terms of themes, materials or sizes; however, the ceramic component had to be decisive in the work of art. 298 outstanding applications submitted by artists from 44 countries were received for participation in the art competition The Martinsons Award. 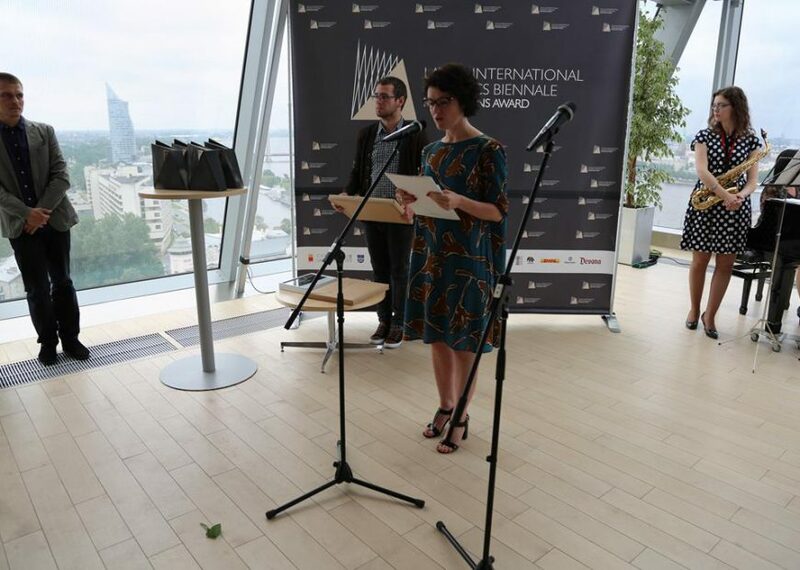 Jury of the International Biennale chose 110 works by international artists and 26 works by Latvian artists for participation in the Biennial’s competition exhibition. And out of 136 artworks the jury selected 6 international and 6 national nominees eligible for the award.